Hey Bounty Hunters! 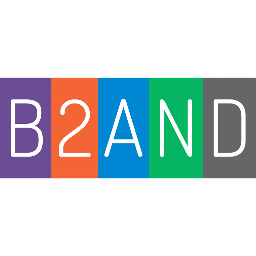 Be part of the B2AND Community! Help us establish a strong online presence and be rewarded for your contribution with our bounty offerings! B2AND Token Sale Project is promoted by Bounty Campaigns with the following details. - In order to receive the complete bonus, each participant is expected to participate until end of the Token Sale. If the participant discontinues earlier, he/she will be paid only partly, covering only the participated weeks. The list of participants will be revised once a week. - Participants will get their awards within 14 days after Token Sale ends. Bounty campaign manager will be Jem. For more info about this campaign please contact her at Telegram for questions. 5% of the bounty pool will be allocated to the Telegram Joining Campaign. - Every participant joining to official B2AND Telegram chat before Token Sale starts and participating until end of the Token Sale will get 1 stake. - No spam or foul language against other members or about the project. - Try to be active and ask questions about the project. 15% of the bounty pool will be allocated to the translation campaign. - Reward will be offered for the translation of ANN thread, white paper and website content of https://ico.b2and.com. - Only participants with profile rank Jr. participant or higher can participate. - Translator should not only make translation, but also post translations in to local forums and manage these translations and users within these forums as well as to translate all official B2AND news and post them to these same local forums. - Participant is not allowed to use Google Translate or other automatic translators. - One participant can apply for a translation to only one language. - Participant should receive written confirmation from B2AND before starting any translation. 25% of the bounty pool will be allocated to the blogging campaign. - Bloggers in blockchain or crypto currency areas are most welcome. - Bloggers can earn tokens by publishing articles about the B2AND Token Sale project and promoting it in the blogs they are active in. - Articles should be freely available. - Articles should contain a link to the website and a link to the white paper. - The work should be original and contain at least 500 words (participant may use official images, logos, graphics posted on the website, Facebook, Twitter and Instagram). - Low quality articles are not accepted. - Videos should be not shorter than 1 minute (video caption should contain a link to the website and white paper). 10% of the bounty pool will be allocated to the Twitter campaign. - Each participant should follow official B2AND Twitter page. - Each participant should have at least 300 friends & followers. - Participant, who has unfollowed B2AND official Twitter page is not eligible for rewards. - You have to retweet and like at least 5 tweets per week from our Official Twitter account. - You have to post at least 2 tweets per week about B2AND. Max 1 tweet per day. - Tweets must be in English and should be posted here every week. - Participant's profile must be open. - Participant should not delete posts until the official ending of B2AND Token Sale. - The number of friends & followers will not be updated during the Bounty Campaign. Use 1 post per week for all your Twitter and Facebook tasks. 15% of the bounty pool will be allocated to the Facebook campaign. - Each participant should have at least 300 friends and an open page. - Each participant of should like and follow the official B2AND Facebook page as well as to share all the posts from B2AND Facebook page. - Likes, shares, comments for post older then 48 hours doesn't count! - Participant, who has unfollowed B2AND official Facebook page is not eligible for rewards. - Participant's Facebook account must be older than 3 months. - Participant's Facebook profile must be open. - The number of friends & subscribers will not be updated during the Bounty Campaign. 30% of the bounty pool will be allocated to the Bitcointalk Signature Campaign. - Each participant should set up and use the below B2AND signature [see below codes] in their Bitcointalk profile according to the profile rank. - If participant acquires new status, they should change the signature accordingly. - Each participant should make at least 10 posts per week on Bitcointalk outside B2AND Threads. - Participant should not make more than 70% of his/her posts in one day. - Participant should not remove his/her subscription before the official end of the Token Sale. - Posts should be constructive and contain minimum of 80 characters. - Negative trust accounts are not accepted. - Posting in the topics: Politics and Society, Off-topic, Archival, Bounties (Altcoins), Auctions, Lending, Beginners and help are not counted. - Spam and insults are not counted. - One participant is not allowed to participate from multiple accounts. You have to fill the Application form in order to claim the bounty. Bounty will be paid out by B2AND Team 14 days after the end of the ICO.